Hospitalists are board-certified, internal medicine or family medicine attending physicians who specialize in the care of patients who are hospitalized. A Hospitalist physician is trained in Internal Medicine or Family Medicine and focuses his or her practice exclusively on hospital inpatient care. What advantages does a hospitalist offer patients? For patients, being treated by a Hospitalist offers many advantages. Availability – Hospitalists are available 24/7. In case of emergency, a Hospitalist is never far away. A Hospitalist works in the hospital and will see patients more than once a day, if necessary. Hospitalists know every specialist and department in the hospital and can coordinate specialty care for patients as needed. Consistency – Hospitalists can help you achieve a smooth, speedy recovery by following up on tests and adjusting your treatment throughout the day as necessary. Because they are devoted to only hospital patients, Hospitalists are often able to spend more time talking with you and your loved ones about your care. Communication – The Hospitalist stays in close contact with your PCP when you are admitted to the hospital, during your stay and when you are discharged. How does a hospitalist work with the patient’s primary care physician? Our Hospitalists know that the key to providing quality care is excellent communication. That’s why they stay in close contact with your primary care provider (PCP) throughout your stay. Your PCP is kept up to date of any changes in your condition and any major issues during your stay. And your PCP can contact your Hospitalist at any time to learn about your progress. 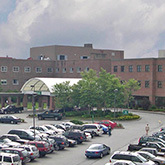 When you are discharged from Central Vermont Medical Center, your primary care provider (PCP) will resume the management of your medical care. Your Hospitalist will recommend a time when you should begin follow-up, and offer the service of scheduling this visit for you before you leave the hospital. It is essential to see your primary care physician for a post-hospitalization appointment. To make this transition as smooth as possible, your PCP will have access to all medical records from your hospitalization. If you do not have a PCP, the physician on call will see you for your follow-up visit. If you are looking to obtain a primary care or specialty service at Central Vermont Medical Center, call the CVMC Provider Access Line at 802-371-5972, Monday to Friday, 9:00 am – 4:30 pm. Hospitalist medicine is the fastest growing field in the history of modern medicine. Our Hospitalist medicine department is growing and evolving here at Central Vermont Medical Center. We want to provide the highest quality of care to our patients in the hospital, as well as ensure safe transitions of care at discharge. We would welcome any feedback and suggestions to improve our service to our patients. To provide feedback, click here. The following is a list of our full-time hospitalist team. To view a list of all hospitalists, click here. Find out how our Patient Portal can help you manage your healthcare easily and securely!